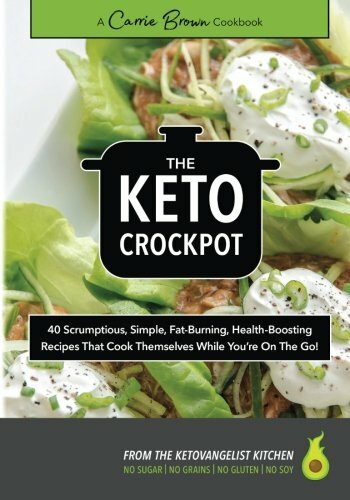 I busted out a legion of crockpots to bring you 40 fast and simple new ways to rock your KETO tastebuds using your crockpot, slow cooker, stove top, or oven and bring total food enlightenment to your low carb lifestyle. Recipes that require minimal prep. Recipes that require minimal or zero post-cooking work. Recipes that don’t revolve around starchy foods. One-pot recipes that can be eaten without the need for a separate side or accompaniment. Simple, whole-food ingredients available to most everyone, most everywhere. As few ‘strange’ ingredients as possible. Recipes that can be prepped ahead and frozen ‘raw’ and then thawed and crockpotted when needed. Recipes that can be made and cooked in bulk and successfully frozen in portions for eating in the future – further saving significant time and effort. Simple recipes that the least experienced cook can follow and get great results. All the basic tenants of KETO: no grains, gluten, sugars, starches, soy, or industrialized processed vegetable and seed oils. Ingredients that are very low- or no-carb, and / or are low on the glycemic index. Delicious recipes that no one will know were created for a ‘special’ diet or lifestyle. A large variety of recipes to save the time and frustration of searching for recipes online that you don’t know will work, and don’t know will be delicious. Budget-friendly recipes that are within reach of most households. …and other real-food dietary lifestyles. All recipes are free of sugar, grains, gluten, and soy. Many are free of dairy and / or eggs – or can be easily modified to accommodate. Safe for Diabetics. For everyone wanting to feel fantastic without giving up taste, improve their health dramatically, and lose body-fat, this cookbook is crammed with delicious recipes for 40 fat-burning, health-boosting, scrumptious dishes that will help in your quest for improved wellness and increased fat-loss while keeping your taste buds insanely happy. This is published as a physical print book and a digital download. If the link you hit doesn’t take you to Amazon, you are purchasing the digital version. 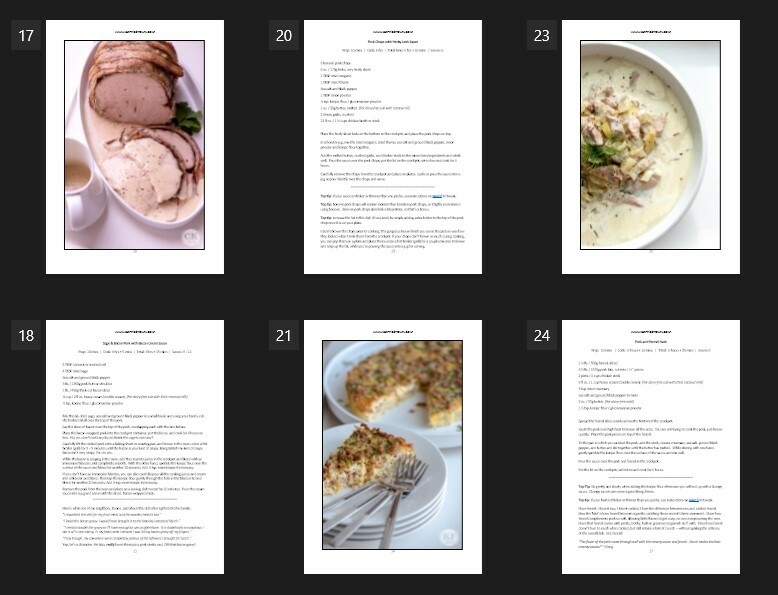 Get your DIGITAL download of The KETO Crockpot Cookbook right now and get ready to enjoy the best tasting, least effort dinners you’ve ever had! “We are not in the business of taking people’s money for no return. But, in order for us to fix a problem we have to know there IS one. If you told us and we said we resent it, then we resent it. If you still didn’t get it but didn’t tell us, then we’re going to assume all is well. We can’t know if there is still a problem if folks don’t share that.